It’s a long, hard road. But it’s one worth walking. My apologies, friends! I meant to get this out weeks ago, but I simply have been swamped with work and it just kept falling to the wayside. 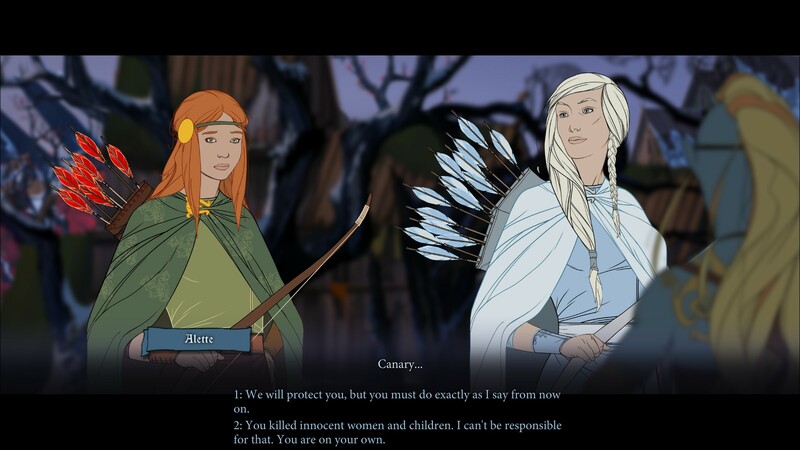 But I received an early preview of The Banner Saga 3 and was given some pretty specific instructions on what not to talk about (story stuff) so I don’t spoil it for anyone. 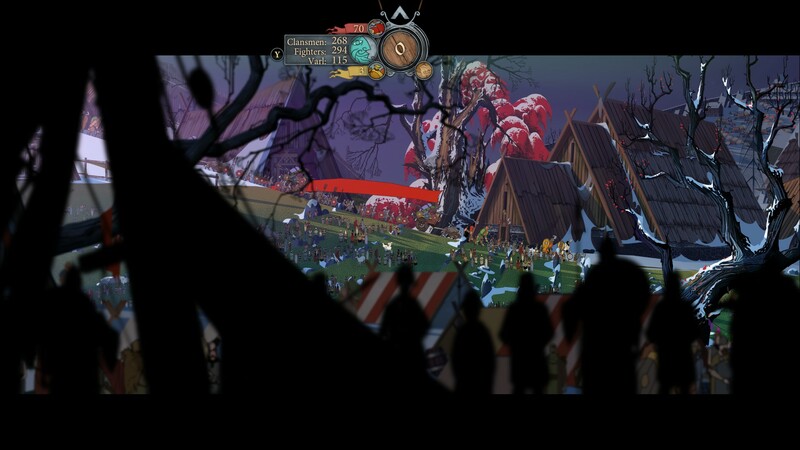 Unfortunately, I have not played much of The Banner Saga 1 and 2. Not because I dislike them (because I love the concepts for them immensely), but time is at a premium. But after playing a few hours of the final game in the series, I have to go back and see how we got to this very dark point in the timeline. This is the final game of the series though, and we’re going to go out with a bang. There’s an encroaching darkness, and it’s seeping into all aspects of the game. There’s more decay, and there are some pretty tough decisions for players to make. I do love a good dark timeline, and this definitely fits that bill. This is a land of hardship, sorrow, and darkness. Are your friends truly your friends? What does the entity writhing in the darkness hold? What will your Banner tell at the end? That’s intense, and I love it. Injuries are a great excuse to cycle characters in and out. I do love a good turn-based strategy and I was terrified when my characters started perishing in battle; after all, I’ve played Fire Emblem and Final Fantasy Tactics, so I know what that can entail. Thankfully, they don’t die forever and simply are injured. Simply being in battle seems to have a chance for a character to be injured when taking damage, and you’ll see the consequences of that battle after you receive your rewards. You can take them with you, but it comes at a very serious cost: They come in with lower strength for X amount of days, and letting them rest in camp will fix it right up. Fortunately, you have a roster of plenty of characters to pick and put into battle, so it’s not a bad idea to juggle them around to keep everyone leveling up, being promoted (using renown from battle) so that way you always have someone who is ready to go. So from there, we march off into battle. One of the only complaints I had was that I could not see a way to toggle on enemy movement. If you click on an enemy, the game will show their potential movement, but there does not seem to be a way to turn it on permanently. The UI is very easy to understand though, and I appreciate that there’s a clear indicator of who is coming up and when at the bottom of the screen so it’s easy to keep track of and plan ahead. I adore a good strategy game, and this one definitely fits that bill. That’s imperative for Tactics games, you need to know who is moving and when, so you know how to react or plan ahead for what the current calamity is. This is a game where you need to be aware of so much, even down to where a character is facing when they walk. I wish I could rotate someone when I end their turn because I’ve accidentally had my shieldbearers face off in a weird direction and though it doesn’t affect block chance, I wish it did. I shot at an enemy facing away from me and still only had a 20% chance to defeat their block/deflect chance. This franchise does something a little different in combat that I was frustrated with at first, and that’s the block/HP system. I grew to enjoy it though after a few battles. You have two numbers, which are displayed on a banner. The number on the blue half is block/defense, the red is the HP. Sorry, Blue Man Group; you have to go. When you attack, you have an option to target the defense, or to attempt to break through and hit the HP itself (which has a percentage chance that is visible). This affects ranged units, anyway. Melee units can choose to weaken defenses for your ranged units or choose to just deal health damage and kill them themselves (and claim the renown for the kill). I love this idea because you really have to juggle and consider what you’re doing with your attacks instead of “target him, kill them, move on”. Morale matters and you also have another stat, “Willpower”, that does not replenish. Using it will make you move farther and hit harder, but it does not regenerate. You have to use skill points to get it back. This is yet another thing you absolutely must consider in order to be successful. Use your stat points wisely, friends. You have objectives in each battle of course, and the next thought is if you want to simply complete that, or murder everyone. Personally, when I’m told “If you kill the guys in blue, everyone else is likely to flee the field”, I’m going to do just that. I’m not risking my Caravan being injured over my personal greed and bloodlust. But here is where I had my first serious quandary. Back in games like Final Fantasy Tactics, you had to make decisions that didn’t really matter outside of gaining/losing Brave. It didn’t feel like it mattered unless you were min/maxing, or wanted an easier wincon for a particular stage. 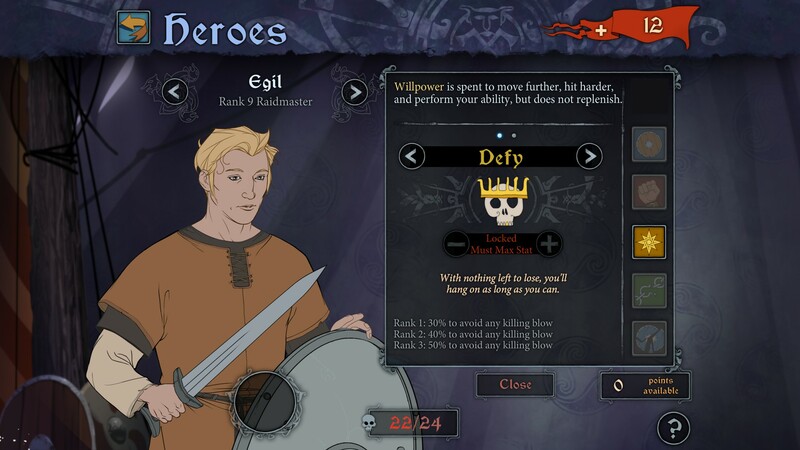 But in The Banner Saga, these choices made outside of battle not only matter, they’re hard to make! The first major one I can think of was when we came across the horse-born, and as it turns out, they slaughtered a village, took their goods and were going to give them to us. They did this before we got there, so it was probably simply them marauding and conveniently giving the goods to us. Do we condemn them and say they’re on their own? Or since the deed has already been done, use it to our benefit? That was the choice I made, but I did not arrive at it easily. How solid are your decision making skills? Mine … not so good. The Hype is Real: The hype is also warranted. 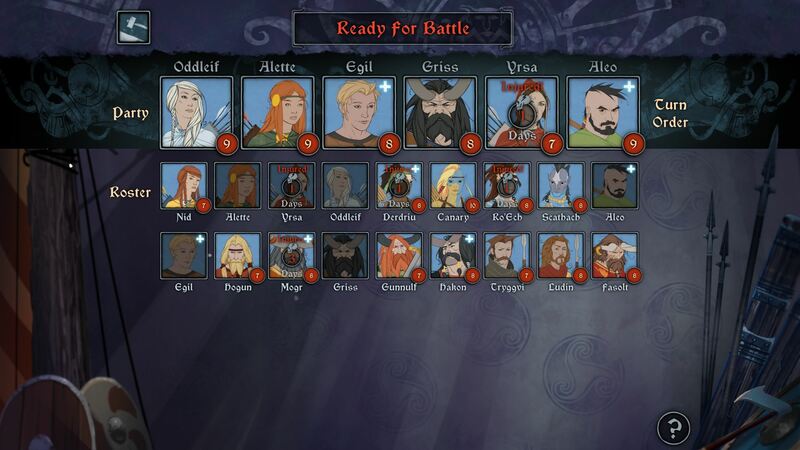 Playing The Banner Saga 3 makes me regret not playing the first two when I had a chance, but I’m definitely going to go back and do just that. The choices are difficult, the gameplay is very solid, and the aesthetic really sells it all and puts it together for me. There were some minor bugs I dealt with, but it was a beta build, and that’s bound to happen. But I do want to circle back to the aesthetic. I’ve played a lot (and I mean a lot) of Viking/Norse-themed games, but I have never played one before that captures that art style in quite the same way. 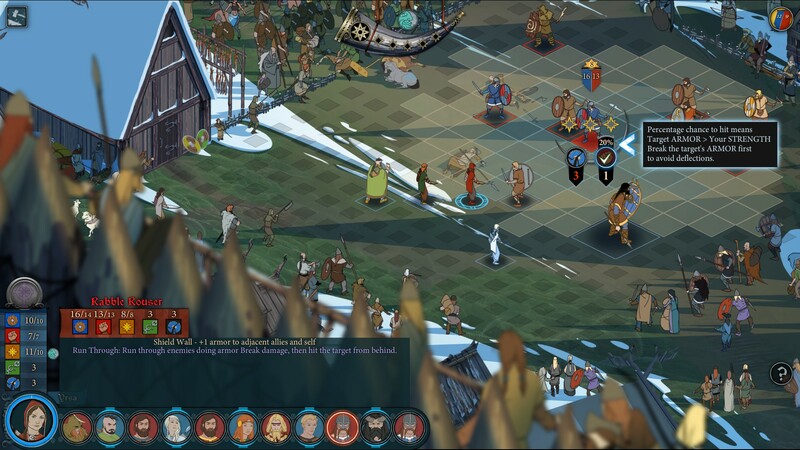 The look and feel of The Banner Saga 3 are incredible, and I felt like everything I did, said, and performed in battle mattered. You have to be careful and thoughtful, be aware of hazards in battle and consider both word and deed. 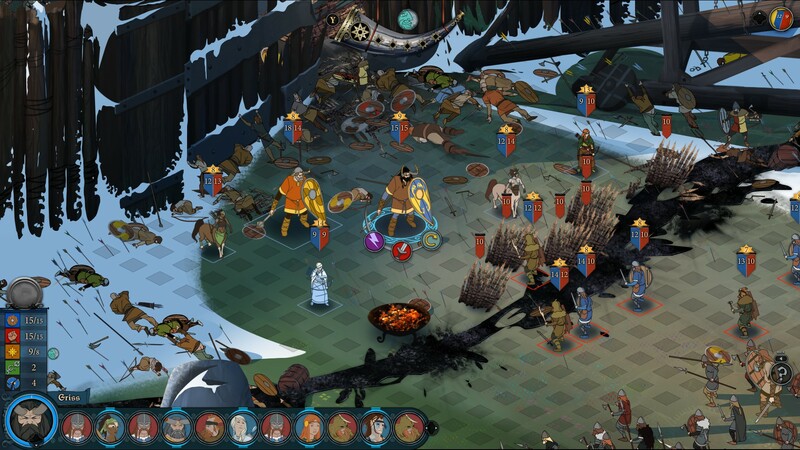 The Banner Saga 3 goes live on Tuesday, July 24th, and I cannot express enough how much I enjoyed it. Whether you have played the other two games or not, if you’re seeking a strategy game that will get in your head and your heart, this is the one for you.